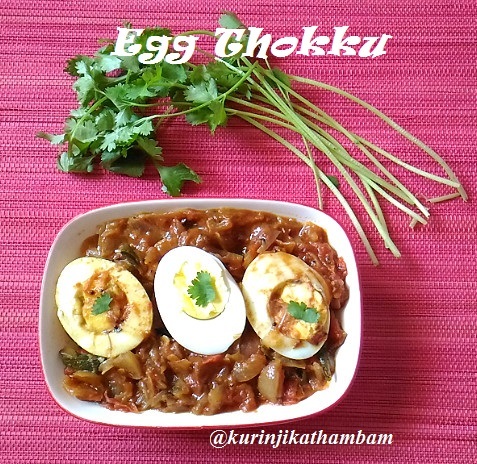 Egg Thokku is a solid side dish and not liquid-watery like most egg side dishes. This makes egg thokku is a good recipe for packaged lunches. 1. Hard boiled the eggs and remove the egg shells and cut them into two halves vertically. Click here for how to hard-boiled the eggs? 2. Heat the oil in a pan, add cumin seeds and wait for splutter. 3. Then add the curry leaves and finely chopped onion, sauté for onion becomes translucent. 4. Now add the chopped tomatoes and sauté till the tomatoes become mushy. 5. Next add the red chilli powder, coriander powder, turmeric powder, garam masala powder and salt. Mix them well and sauté for few seconds. 6. Then add little water and close the lid of the pan. 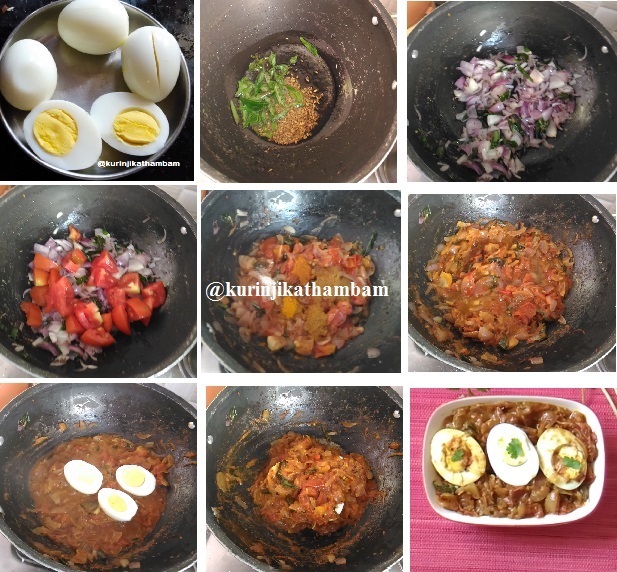 Cook until the thokku becomes thick. 7. Now add the eggs (from 1) and mix them very gently without breaking the eggs.